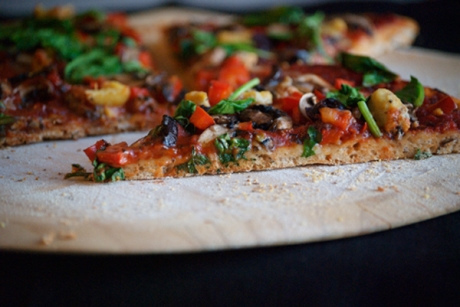 The Polish startup Skubacz.pl helps hungry people order pizza online. It is a Delivery Hero play, with a focus on pizzas, which I am sure is only for now. Polish VC with a CEE focus Xevin Investments has backed the company, but did not disclose the numbers. I speculate that it might be a seed investment, a six figure number. “We decided to focus on pizza, which makes up the majority of all food deliveries. Our goal was to make Skubacz.pl the most popular and ‘best’ place to order pizza online,” said Marek Skubacz, co-founder of Skubacz.pl. The company works with over 800 Pizzerias throughout Poland. The owners of the pizza shops are aware of Skubacz and contact the company themselves to join their distribution platform, saving the startup the distribution costs. Other angel investors are (the already familiar to us from the previous deals) founders of Goldenline.pl (Mariusz Gralewski, Jakub Skoczylas and Radosław Kobus), Niania.pl (Marcin Kurek and Michał Skrzyński) as well as Grzegorz Kazulak from Positionly.com, and Michał Borkowski from Zadane.pl (Brainly.com). Boy, they all must have been loyal customers, consuming pizzas in quantities while bootstrapping their respective Internet businesses. “Despite the fact there is significant competition in this market, we have been greatly impressed by what the Skubacz.pl team has been able to accomplish in such a short time as well as by their plans for further growth. That is why we have decided to make this investment,” said Marek Rusiecki from Xevin Investments. Yesterday, I have made a frozen pizza for hungry startupers in the midst of a planning session. Next time it will be an online delivery for sure, especially since tomorrow we are off to … Poland.